We are thrilled to bring you artworks from 11 of the most exciting contemporary artists and illustrators in Newcastle under one roof! How magnificent! Come rejoice with us, Friday 24th September from 6.30pm...rumour has it there may even be cake! Sticky Fingers is an exhibition sure to delight! Pop Singles are a cool band from Melbourne who have just released a brand new 7" record. To celebrate they're touring up the coast playing shows, including a stop at ARThive this Sunday Sept 19. Also performing will be Polyfox And The Union Of The Most Ghosts, Alps, and Troopin' Kerry Alpacas. Come on down, slouch in a beanbag, and enjoy some music in the gallery. After a series of super successful events at Jura Books in Sydney, Art Verse Music is coming to Newcastle for the very first time! Come along for a unique and fantastic night of live music, accompanied by artists drawing and painting live before your eyes. 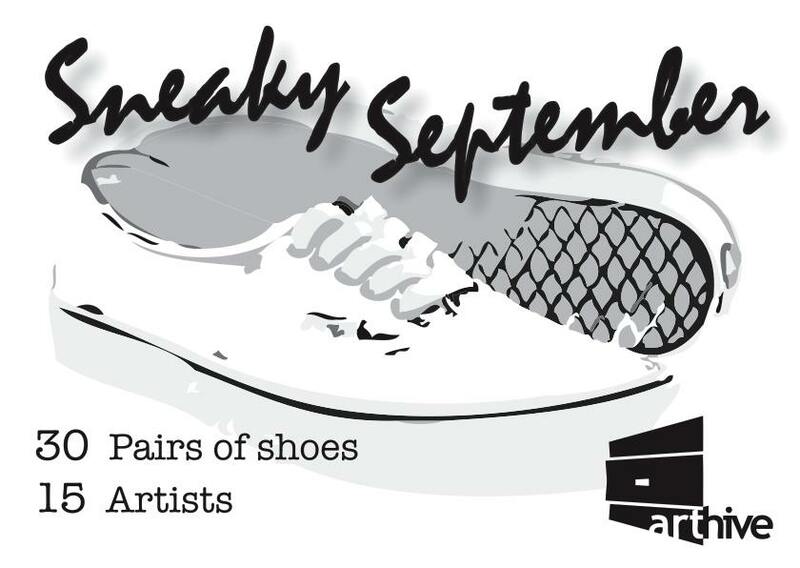 Sneaky September is a collaborative exhibition from a diverse group of artists unified by the canvas shoe. Wednesday the 1st of October will see an open art workshop with all artists in the gallery working live, customising furiously on 30 pairs of shoes. Opening Night celebrations start at 630 p.m. Friday the 3rd of September. All artworks will be for sale as well as hanging pieces from each artist.